What a night!!! What a year!!! What a show!!! Apart from that, my favorite part of the whole evening involved all the acting categories where five past recipients all came out and presented the latest 'member of the club' into their circle... Eva Marie Saint, Goldie Hawn, Anjeclica Huston, Whoopi Goldberg and Tilda Swinton announced a most deserving Penelope Cruz as best supporting actress for her wild, dynamic portrayal in 'Vicky Christina Barcelona'; Joel Grey, Christopher Walken, Kevin Kline, Cuba Gooding, Jr. and Alan Arkin awarded the late Heath Ledger's best supporting actor Oscar for 'The Dark Knight' to his grateful and honored father, mother and sister; Sophia Loren, Shirley MacLaine, Halle Berry, Nicole Kidman and Marillon Cotillard made a very emotional moment completely unforgettable when they proudly welcomed Kate Winslet into the Best Actress category for her emotionally gripping performance in 'The Reader'; and Robert DeNiro, Sir Ben Kingsley, Michael Douglas, Sir Anthony Hopkins and Adrien Brody announced Sean Penn as best actor for his dead-on portrayal of San Francisco politician Harvey Milk in the Gus Van Sant-directed biopic 'Milk'... and 'Wall-E', the darling of all the animated films from 2008, was named the best animated feature to little surprise. And then of course, there was the feel-good film of the year, 'Slumdog Millionaire' winning 8 out of the 10 nominations it received, including Best Song, Score, Adapted Screenplay, Director and Best Picture. 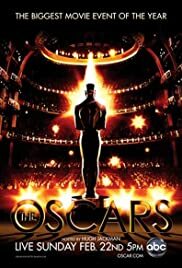 It was a magical, thoroughly pleasing night for the Oscars this year and I'm hoping five past recipients will be back next year to present each acting category and definitely Hugh Jackman will be greatly welcomed back as emcee.